How does it compare to other light piston helicopters? Refer to the "Comparison Table" page. What fuel does it use? 95 Unleaded petrol. This is much more freely available than Avgas and a lot cheaper! How reliable is the Subaru engine? Very reliable when well maintained. Can I trailer it? Yes. The rotor blades must be removed first. This takes two people approx. ten minutes to accomplish. What is the lead time from ordering to delivery This will depend on how busy the factory is at time of ordering and if all machines in production have been allocated. the usual lead time is 8 months. if you are not in a hurry placing order with the lead time of 12 months gives you nice discount. Best is to check with us for more accurate lead-time. What height person will it accommodate? A 2.0 m (6'7") tall person fits comfortably with headsets. Must I have a fixed wing pilots license first? No. Flight training schools will teach everything from the beginning. Do you provide helicopter training? No. But in Ukraine we have very long and close cooperation with Kremenchug Flight College. You can check the Pilots Training program page and find all the information there. 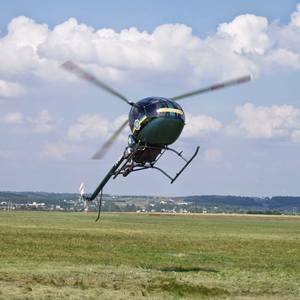 There are many helicopter training schools dotted all round South Africa. Once you have gone solo at flight school, you can convert to the AK1-3 Sanka and complete your solo hours on your own machine, thus saving you money. 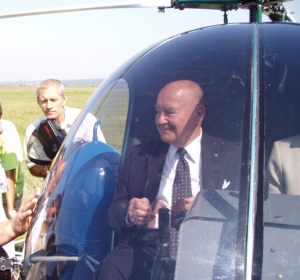 Contact our representative in France, Heli Flandres Artois, who is able to provide pilots training on AK1-3 helicopters.